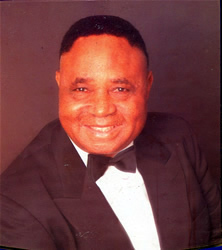 Chief Gabriel Igbinedion is a philanthropist of no mean standing. It is not possible in this brief write­up to document all the philanthropic acts of the Chief as this writer has not always lived or associated with him all his life. 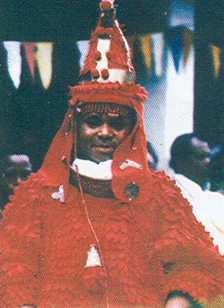 However, the writer has witnessed enough of Chief Igbinedion's philanthropy to enable him safely arrive at the conclusion that philanthropy has been a significant part of Chief Igbinedion's character since his childhood. 1) Many Nigerians have been able to acquire a good education at the primary, secondary and tertiary levels through Chief Igbinedion's scholarship awards. 2) Between 1972 and 1990 Chief Igbinedion single-handedly provided electricity to his home town of Okada and about 83 other villages in Ovia South-West and North-East Local Govern ment Areas of Edo State. 3) He financed the plastering of the front of every house at Okada, his home town. 4) He has provided jobs for thousands of Nigerians through the educational institutions and the many other businesses he established. 5) Some years ago, he established what he called 'Soup Kitchens' along Murtala Mohammed Way and Urubi Quarters, Benin City; which served free meals to hundreds of hungry citizens of the city who flooded these two locations to eat daily. 6) In 1984 he donated the largest amount of money to the South Africa Relief Fund in the defunct Bendel State. The South Africa Relief Fund was launched by the Federal Government of Nigeria to provide succour for victims of apartheid in South Africa at the peak of Boer-nurtured racism, oppression and injustice. 7) Most orphanages in the Benin metropolis depend largely on his generosity. 8) Chief Igbinedion has a reputation for hosting parties regularly to which all social classes in Edo State are invited.